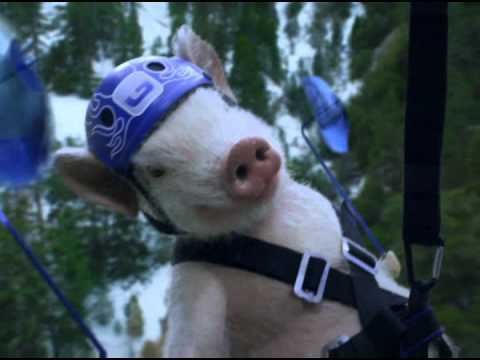 Maxwell, the Geico pig, has more to offer the consumer than some of the latest shotgun offerings that should make many folks want to go wee, wee, wee all the way home. There are a few so-called innovations and accessories that proudly defy logic, common sense, and physics. Here are three of the latest, listed in alphabetical order, though perhaps you have your own favorites. The versatile shotgun may sound good, but it invariably means compromise. The all-round shotgun never has existed, it never will, but we keep asking about it and searching for it nevertheless. There are some basic things, while always in the personal preference arena, are things that I like and others do as well. While barrel length isn't as important as finding the fit you prefer, the balance you prefer, and so forth, there are some generalizations. In an autoloading shotgun, I prefer a shorter-barreled gun, 24 or 26 inch, for flushing game. For clays, particularly trap, 28 or 30 inch makes things a bit smoother, at least as far as I'm concerned. Nevermind that a 26 autoloader is close in sighting plane to a 30 inch O/U, your 26 in. barrels swing like 27 inch barrels with extended chokes as that is what they are, and your old 26 inch Belgian A-5 had a 25-1/2 inch barrel, not a 26 inch barrel, etc. To me, anyway, it does make an autolading shotgun more versatile to have a 26 inch barrel for pheasant hunting, a 30 inch barrel for the goose pit or clays. That might make a versatile shotgun like the 3-1/2 inch chambered Beretta A400 actually a bit versatile in reality. Until, you happen to actually buy one, that is, and look at what that handy extra little piece of steelium is going to cost you. Beretta breaks new ground with the ridiculously overpriced, theoretically high performance "steelium" barrel that is more expensive than many complete shotguns. Moving on to some of the newer, no less bewildering new ideas is the Mossberg Flex 500 pump gun. Quick change forearms, stocks, and recoil pads are a puzzling addition to a utilitarian shotgun. The only purpose it serves, to my tiny mind, is to make quick change out of a couple of extra hundred dollar bills gathering dust in your wallet. Why anyone wants to quick-change out plastic gun pieces I can't quite understand. If you wanted a Mossberg 500 for a special purpose that you would use at all, most would just get it that way in the first place. Buy a couple of them, any way you want them, and you still have a couple hundred bucks left over from that A400 barrel fund, a barrel you once thought you wanted. 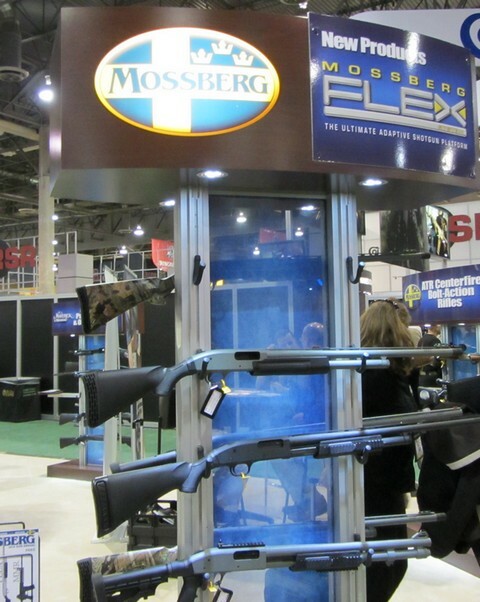 The Mossberg Flex is an adaptive platform, primarily adaptive to how thick your wallet is for buying more overpriced plastic parts of dubious value for a fundamentally cheap pump gun. Then, finally, we have one of the worst ideas in shotgun shell history, the reinvention of the short-range spreader load called Winchester Blindside. Though we have struggled to keep round shot round for a hundred years, adding antimony to lead, buffering it, and protecting it, as the world knows that it is not flat and deformed shot flies poorly, and openly, compared to spherical shot, all that goes out the window when you want to sell an overpriced steel shotshell. Call your goofy shot shape hex shot, claim that it is stacked with care by high-speed equipment, and now decide through the miracles of marketing that it traumatizes ducks, etc. Higher velocities and less recoil as well. Of course, when you break the rules of physics, you might as well just break them all. Best of all, it kills ducks dead . . . as if there is any other way to kill them. Spinning centuries old laws of physics on its head, Winchester Blindside reinvents the spreader load, in a desperate but terminally failed marketing attempt to regain lost sales from Federal Black Cloud. When is the last time you read of anything dying from "energy deposit" or blistering trauma? A piece of #2 steel shot remains a relatively large object if you are a 2-1/2 pound duck. Sadly, the only thing that could hit like a ton of bricks would actually weigh a ton. A typical brick weighs about six pounds, a piece of #2 "hex shot": 1/125th of one ounce. A U.S. ton of bricks weighs 62,000 ounces, or 61,998.625 ounces more than a payload of Blindside. It is a revolution in marketing: take an obviously inferior product, jack up the price, and try to sell it as blistering thick as a brick trauma. 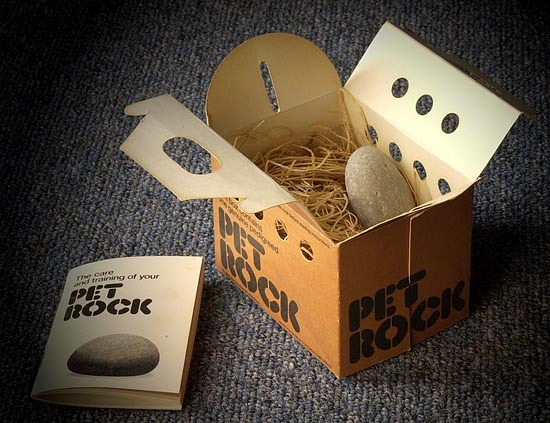 The old Pet Rock is a far better investment than many of the latest shotgun products, more versatile, more affordable, and may deliver more blistering trauma than hex shot, with less recoil. It is also more fun at parties, thankfully lacks steelium, and is almost completely corrosion and plastic-free. Copyright April 1, 2012 by Randy Wakeman. All Rights Reserved.